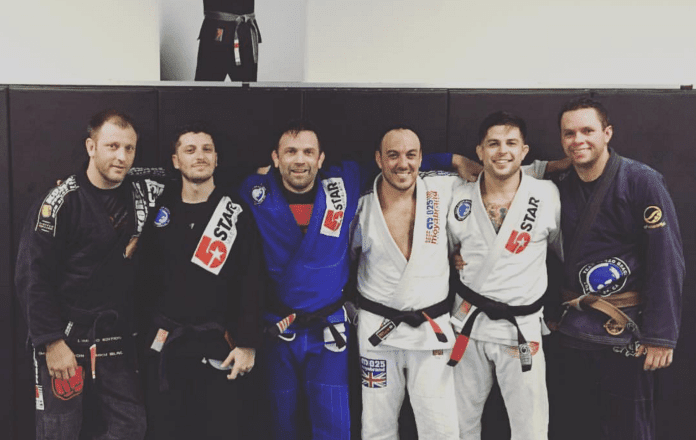 Jiu-jitsu.News: Why Do People Quit Jiu-Jitsu? They don’t look at it as literally a lifelong journey. They compare themselves with others, and I think that is a real big problem. If you took belts out of the equation..I love belts. I’m not the biggest fan of stripes to be honest but I love belts. We didn’t have stripes when I came up. But I think that the age in which we live in, people need instant gratification. Everything is at our thumbs. You want something you get can it on Amazon. Here in LA you can get it in like two hours. Instant. That doesn’t happen with martial arts. It doesn’t happen. It takes time. And it takes a lot of time…If the stress of “That guy is better than me!” and add that into the amount of time that it takes you to learn and get better at jiu-jitsu, it just isn’t a good thing. I think if more people had the open mind of just, “You know what? I just want to get better and be the best that I can.” And every day, day in and day out, they make good use of their time. They come in, they learn, they train, they don’t sit on the wall, they don’t rest unless you absolutely need to rest. You just make full use of the time that you are on the mat. Not comparing yourself to your training partners in a negative mind set. Understanding that achieving a high level of skill is a long, painstaking process are keys to staying in jiu-jitsu. Progress comes from sustained and applied effort over the long haul”.